For nearly two decades there has been seven new movies and two animated series (with more on the way). There are trivial details that link all of them and the brilliance lies in the minutiae. The subtle, and brilliant, connections Disney brings to the franchise is outstanding and fascinating. Perhaps “connection” might be a misnomer, considering some of these items are so subtle they’re more like “Easter Eggs”. I’ll get into that later. There are quite a few Easter Eggs in all of the movies, but these are my favorites. Also, if you have not seen Solo or all of Clone Wars, there are mild spoilers ahead from each. 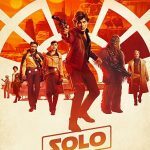 As you watch Solo: A Star Wars Story, they do leave you wondering what happened to Q’ira after her and Han are separated during the escape from Corellia. Her sudden appearance as a gangster’s lieutenant several years later is one of the great mysteries of the film. She’s clearly tormented by the her choices in the past leaving the audience, and Han, completely in the dark. Her vexing relationship with Dryden Vos had us wondering if she is his mistress or concubine, like Leia was to Jabba (which would be fantastic symmetry). 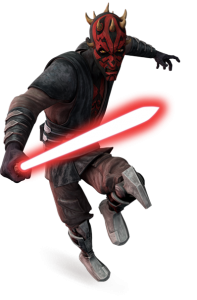 However, we are all stunned when Q’ira contacts Darth Maul (reprised by Ray Park) leaving us all with more questions about her past. What makes this encounter more mysterious is the fact that it’s the version of Darth Maul with his robot legs thus linking Solo to late episodes of Rebels and Clone Wars. 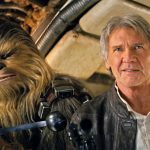 This is one of my favorite scenes in the Han Solo movie. Before you think I’m exposing another spoiler, I’m not talking about Hera’s spiritual ghost but her ship, the Ghost. If you are unfamiliar with the animated series, Star Wars Rebels, then none of this will make sense. Hera is a Twi’lek rebellion pilot and the Ghost is a Corellian VCX-100 light freighter. She is a central character to the animated series and the formation of the Rebel Alliance. This little Easter Egg is very similar to the Millennium Falcon Easter Eggs at various spaceports in the prequels and Clone Wars. Granted most of those are merely Corellian Corvettes and not specifically the Millennium Falcon. However, in this particular case the Ghost can be spotted among the ships preparing to attack Scarif in Rogue One. You may even hear a “General Syndulla” on the PA.
Actually Rogue One has one of my favorite subtle Easter Eggs, which links it over 30 years into the future to The Last Jedi. As the Resistance is fleeing from The First Order, they are surprised when The First Order successfully follows them after they make the jump to hyperspace. Finn and Rose are the first to figure out that the First Order is using “active tracking”. It’s a technology which allows a static field generator to detect starships traveling through hyperspace. It is, for sure, a dangerous technology for the First Order to have. “We have them tied on the end of a string”, Armitage Hux arrogantly proclaims. So how come we have never heard of this before? We did. In fact it was first discovered by Rebel spies, however they were seeking something far more sinister. 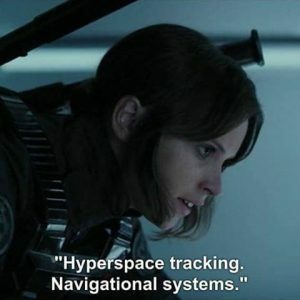 Jyn Erso, in Rogue One, is scanning the files on the mainframe during the battle of Scarif, as she’s reading them out we hear her say “hyperspace tracking”. As the wookieepedia page will verify, “hyperspace tracking” is a form of “active tracking”, thus linking these two movies. Brilliant! This one is, by far, my favorite and I bet it’s one very few people have ever realized. The most subtle, and brilliant, connection of all. 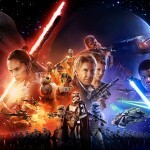 This one actually links the Clones Wars to Return of the Jedi. If you watch The Clone Wars animated series then you know who Captain Rex is. We meet him practically at the very beginning. 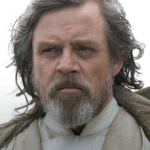 He is in nearly every episode and accompanied nearly every Jedi on some mission including Anakin, Obi-Wan and Yoda. One night, as I was watching an episode of Clone Wars, I was curious as to what happened to Rex. My research unveiled something very surprising! The theory is that he had his brainwashing chip removed and was therefore immune to Order 66. In fact not only does Rex survive Order 66, he also survives the Clone Wars and joins the Rebel Alliance. 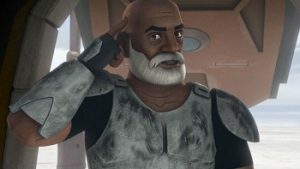 The best part about Captain Rex is that all of us have already seen him before we saw him in Clone Wars. 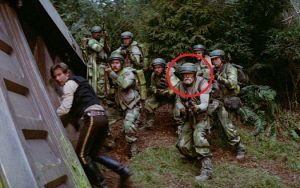 He helps Han infiltrate the shield bunker on Endor! I love all these meticulous connections scattered throughout all of the movies and TV series. Disney doesn’t deserve all the credit as George Lucas is also involved as well as a few other writers and producers (such as Dave Filoni who confirms this Rex theory). The Matrimonial Sibling Event Merry Christmas! !